Sony Xperia Play is a fusion Android phone that can offer supreme gaming experience to one and all. The end users will cherish the sharp display on the device along with its dedicated slider based gaming controls. The phone has 5 MP rear camera and up to 8 hours of battery life on optimal-continuous usage of music, apps and videos. The phone is sleek to handle and has best breed connectivity option support too. At the other stance, PlayStation Vita is just another gaming platform without any calling support. The erstwhile Play Station systems’ security was breached by hackers and the platform will be no exception. The dual mode camera and jazzy D gear remotes are perhaps the highlight of the platform. The Wi-Fi only model of Play Station vita is up for grabs in $249 and the 3G variant can be availed in $299. Considering the flexibility of installing custom apps on Android platform, Sony Xperia Play stands out to be a superior device than Play Station Vita at this point in time. 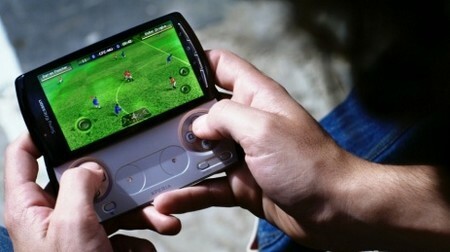 The gamers can leverage from faster internet or streamlined calling experience on their Xperia Play phone on the fly. It is a must device for those who wish to play games while sitting in a place or waiting for someone and wish to call up people often too. The arena is becoming competitive in the tech space and one should essentially leverage from the gadget which can offer multiple services to the end users than the single mode functions. Get going and opt to choose amongst the best breed gadgets. If you are puzzled between Sony Xperia Play and Play Station Vita then you should throw the ball in favor of Sony Xperia Play. The stunning sound and graphics quality along with premier calling features cannot be matched by Play Station Vita.